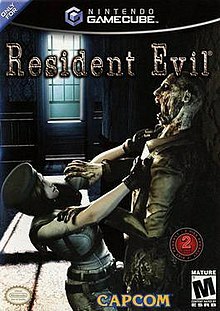 Hi everyone I'm Jack Red, I grew up with the first two Resident Evil games. Don't worry at a later time I will do a comparison between Resident Evil 2. Right now I always felt deep down. I need to decide which version of Resident Evil 1 I like more. I haven't played some of RE1's ports that had major differences. Most notably Sega Saturn & DS versions. I also never got to play the original Director's Cut on PlayStation 1. I did own two of three versions on the same console. I also did own Remake on both Game Cube & Wii. Today I will be comparing the two PlayStation versions against the more recent remastered version. There's plenty of major differences to cover here.Both versions tell the same story. A group of S.T.A.R.S. Alpha members got inside the Spencer Mansion. They eventually discover that Umbrella was behind everything. In Remake, there's some major changes to make it more interesting. Yes they still went into the Arklay Forest to investigate murders. They also went to search for S.T.A.R.S. Bravo team. More is revealed about building this mansion, T-Virus and several more things. Some key moments did change between these versions. Keep in mind, in both versions you have two main playable characters. Obviously they have key differences between each other for a different experience. Depending on things you could also play as Rebecca in some parts. Most cut scenes plays out very differently between both versions. For example in Jill's campaign early on. After Jill sees the first zombie. You go back to Barry to trigger a cut scene leading to that zombie getting decapitated. In Remake, Barry simply guns the zombie down. Among leaving the dining room back to Wesker. You hear a sound before the door mysteriously closes. I don't want to fully give away both versions. Especially you somehow never got to play them. I felt some things was done better in the original version. The entire intro done in live action was great. They made it more obvious which ending you got among completing the game. In Remake, by adding more areas & improving some that was already there. I honestly can say made it one of my favorites. This also means it has more bosses. Originally in RE1, you had four boss monsters. Both Yawn & Tyrant can be fought twice. Depending on things since Jill only faces Yawn once. Although they changed that in Remake. Just like RE1's the same conditions for good & bad endings. Added to Remake is Crimson Head Prototye, Neptune and Lisa Trevor. Neptune isn't much of a boss fight. Lisa's boss fight is more of quickly pushing heavy stones off to leave the area. Crimson Head Prototye was easily the scariest boss monster. You have to collect four death masks. Among putting one of them in the correct spot. You will see a lot of blood coming out of the coffin that's high up. The final death mask placement causes the coffin to fall to the ground. You attempt to grab a key item before your way out suddenly closes. This Crimson Head comes out of the coffin the best possible way. Thankfully Chris has a quick way of killing him. Jill will have a hard time but shouldn't take too long. Weapon wise I would say Remake takes it. I should say this was one of the closest among every category. Sure the original had better hidden weapons. Majority of them are simply more fun to use in Remake. Replayable value is notably higher in remake. Keep in mind, there's three versions of RE1. Which means it does change the unlockables. This mostly changes one of the hidden weapons & costumes. In fact there's so many costumes in most versions. I was very surprised most of them weren't brought back for Remake remastered. Although RE0 Remastered did that in the form of dlcs. In later versions on PS1, you get a new variation called Arrange mode aka Advanced mode. Created for the solo goal of screwing up gamers that mastered it. Believe it or not, Remake has two unlockable variations you can play. Real Survivor mode was originally going to be the final game. Before the team decided it was too hard. In this version, it automatically set to hard. Manual aim with item boxes no longer conntected. Which means you have to memorize or write down everything you put in those item boxes. The other variation of it is called Invisible Enemy mode. As you can guess every enemy including the bosses are invisible. You have to mostly rely on listening & knowing your enemies. Another great thing is they do have different colors for each mode. Remake also has a few more unlockables. If you beat the game on normal or higher with Chris & Jill. You unlock One Dangerous Zombie mode. Some areas will have a faster zombie Forest with grenades. If you kill him, you instantly get a game over. In both versions you have an unlimited rocket launcher. In original RE1, you also get an unlimited magnum. In Remake, you get an unlimited rapid firing Samurai Edge gun. If you beat Invisible Enemy mode fast enough. You can see a thank you later by Shinji Mikami or check out unused concepts. Funny RE2 remake is using those unused concepts. Basically you have more to unlock in Remake than you do between all three versions on PlayStation 1. Controls wise I have to give it to Remake. In most versions of Remake, the controls are great. They are easier to memorize than the original PS1 controls. They added a new control option making it even easier to move. Originally you have to move around & back up like a tank. Which means some parts in the game more difficult. Both versions at their core has a great soundtrack. Sadly they replaced it in Director's Cut Dualshock Edition was a terrible one. Although I do prefer the original soundtrack, I can't look pass that soundtrack. I do enjoy Remake's soundtrack with excellent sound design in it's entirely. 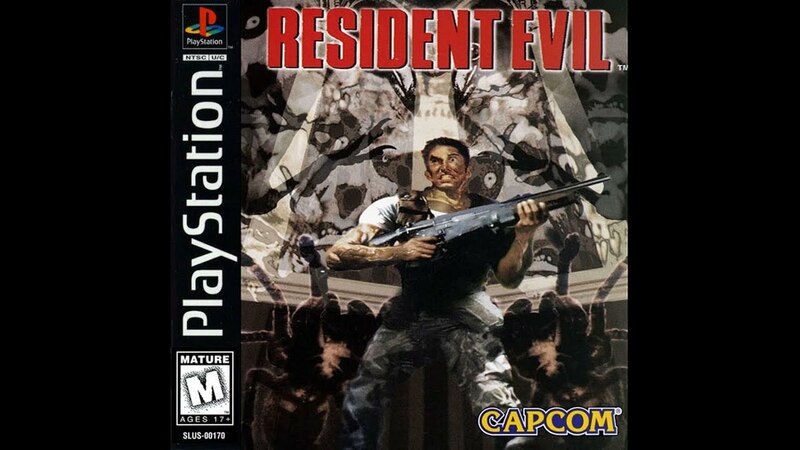 Resident Evil originally had laughably it's so bad it's good voice acting. In Remake, the voice acting isn't anything to write home about. I'm not saying it's terrible because it isn't. It just doesn't bring much especially compared to the original cast. I mean come on those classic cheesy lines are still funny in their own right. Sure it may take away from the game. At least it better fit the angle they were doing. Remember those live action cut scenes, they attempted to make it like a horror movie. Mostly a b movie with notably bad acting. Somehow people still likes a lot of those movies. I can say this is tough for many reasons. Both of them are games people still play the hell out of it. Both versions appeals to a different generation of games. At the same time I felt Remake was the better experience. You have new areas to explore that brought a lot to the game. Some of my favorite puzzles. Although some puzzles in the original game was better. Better replay value to keep on playing it. Remake is simply telling the same story in a more interesting way. The short answer is in most areas, Remake gives me more.